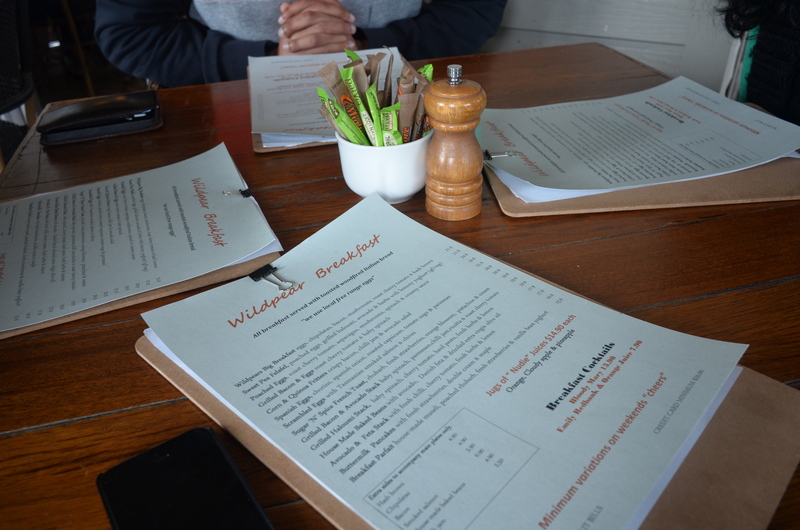 If restaurants and cafes were your relatives, then Wild Pear Cafe would most certainly be your grandmother. A warm welcoming home of an interior with jars, pots and pans and carpets with wooden tables. 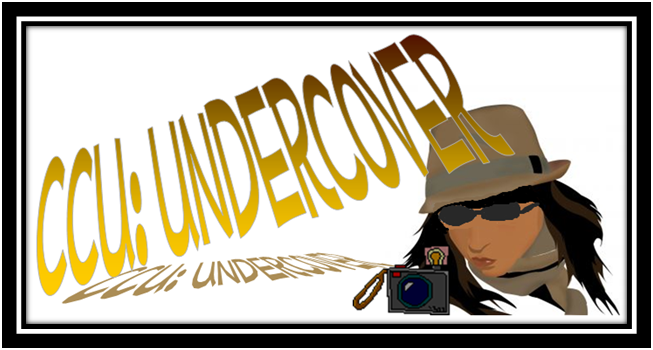 The atmosphere is abuzz with people, and considering they are usually booked out most weekends, it isn’t surprising. Despite how rushed it was, the staff was quite friendly as we were ushered outside to our table. As the rain slashed down, it couldn’t penetrate the clear covers. Surprising, but I haven’t been in many cafes where there is this option for when it is raining and there is outside seating! Good call! Their menu was not very extensive, but had all the classics with little twists to make it their own. 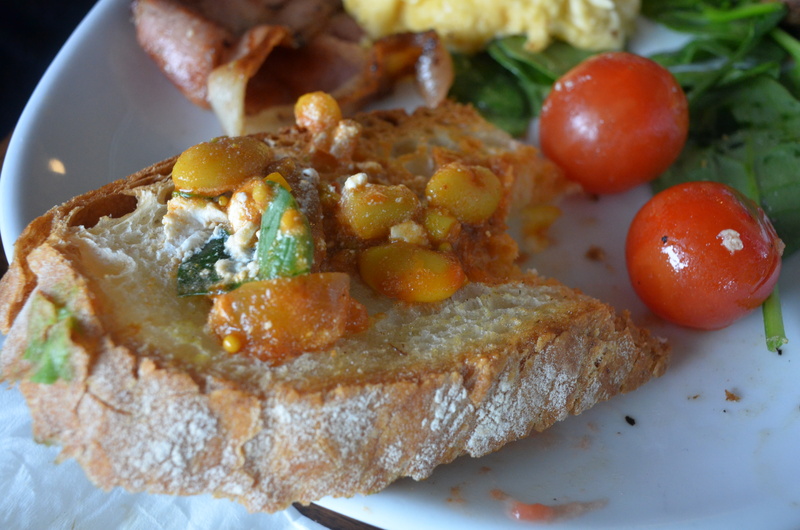 For instance, all breakfasts were served with Italian crusty bread, not your regular different types of toast. While this was a little bit of an issue for a traditionalist, vegetarian breakfast eater like my mum, I personally liked the unique variety. As soon as we had ordered, despite being absolutely full up, it really didn’t take an awfully long time for the our meal to come. 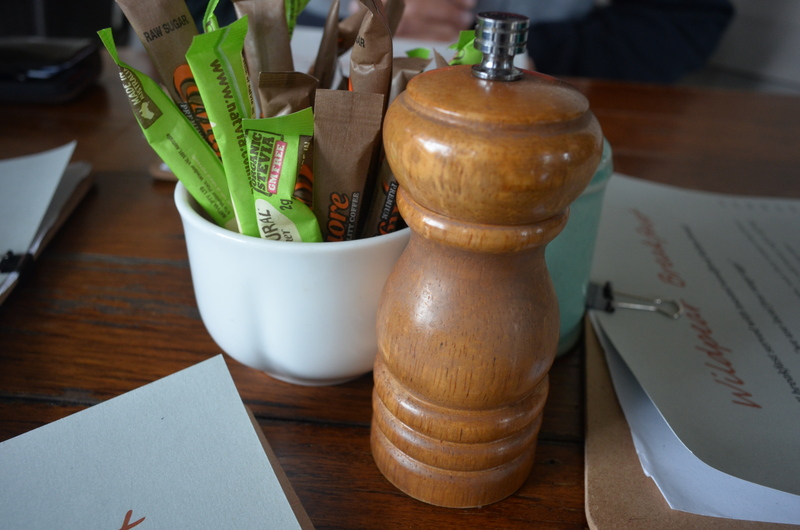 I was pleasantly surprised, but it didn’t come at a price – flagging down a waiter or waitress was all about timing, they were definitely sprint walking to get orders around! They also always get matching foam moustaches when they drink, I always think that is rather cute! And after taking one sip, I literally saw the morning light finally hit their eyes simultaneously. 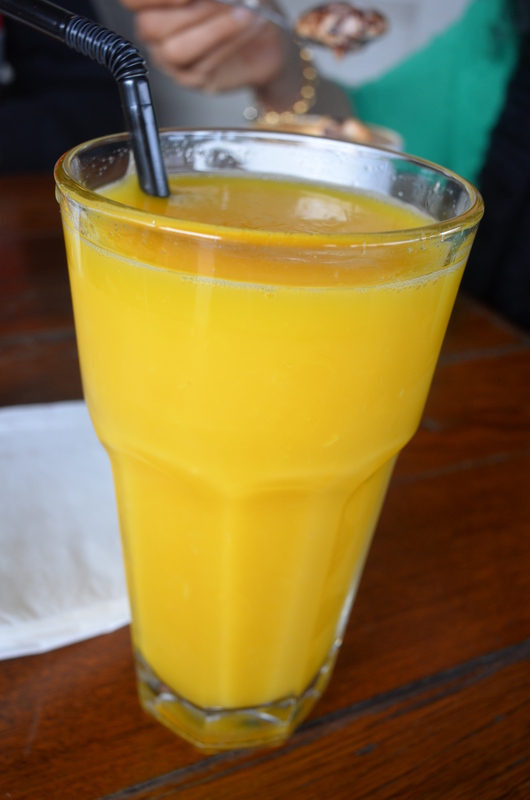 Despite the rain, my brother with his usual I’m-not-trying-to-be-a-hipster-but-am flair decided to get a cool and refreshing Orange Juice ($4.50) instead of opting for the warm drinks which would be, you know, normal, in drenching rains and howling winds. Now my turn 😀 I followed my usual tastes and ordered a casual Hot Chocolate ($4.50). Sprinkled generously with chocolate on the top, and with a sludge of heated chocolate at the bottom, you really had to stir to get the flavour infused all the way into the drink. No worries there, especially after I got a foam moustache of my own! The marshmallow besides the drink was also a nice touch, I hate that some places believe you can get too old for that! And the pre-melted marshmallow in the middle? A stroke of genius! My inner child… jokes I am a child… Me, myself and I were singing at the marshmallows! 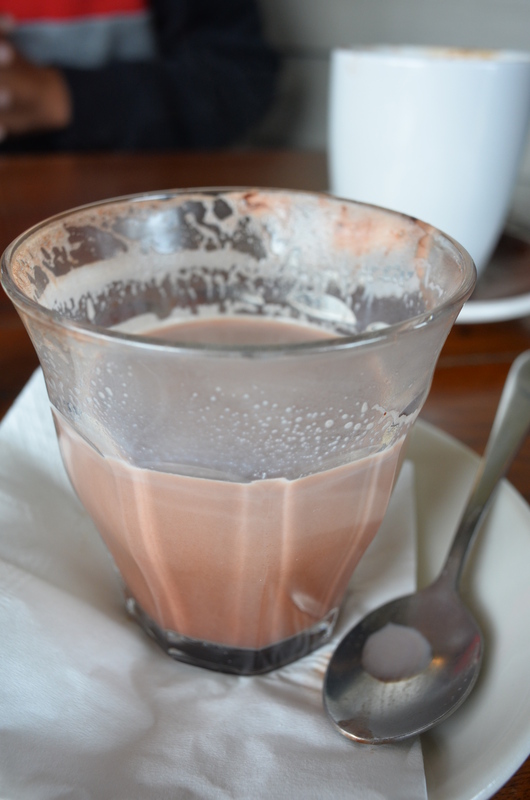 While my hot chocolate was tasty, I would have preferred it a little hotter. Not ‘extra hot’ like my parents, but at a substantial temperature enough so it doesn’t cool after a few minutes. The chocolate flavour in itself was delicious and fulfilling though. Within minutes of our drinks being brought out, our food was also ready. While my family fretted around trying not to dive into their food while I photographed (they know it is an occupational hazard! ), I made a mental note. How many times, lovely readers, has it happened that you order food and drink, your drink comes then once you have finished it, your food does? First few plates out were for my brother and my dad. Both ravenous meat eaters, but let us begin with my brother’s dish. 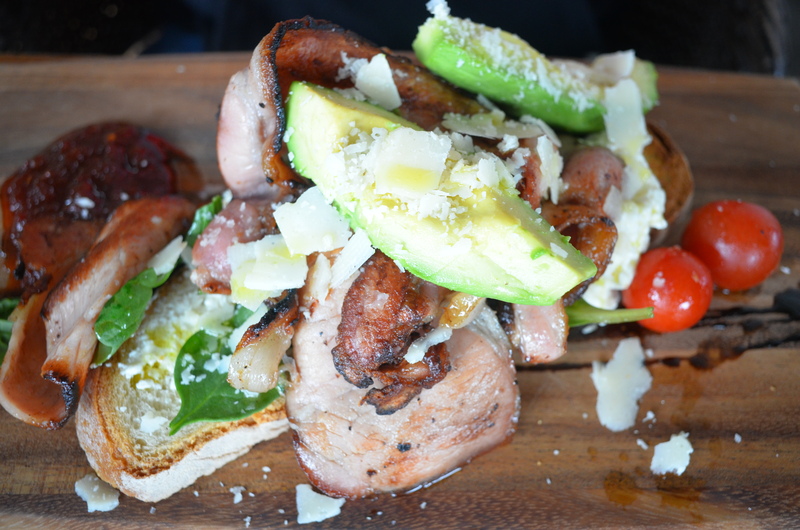 He ordered the Grilled Bacon & Avocado Stack w/ baby spinach, parmesan, chilli jam, ricotta & roasted cherry tomatoes ($19.90). 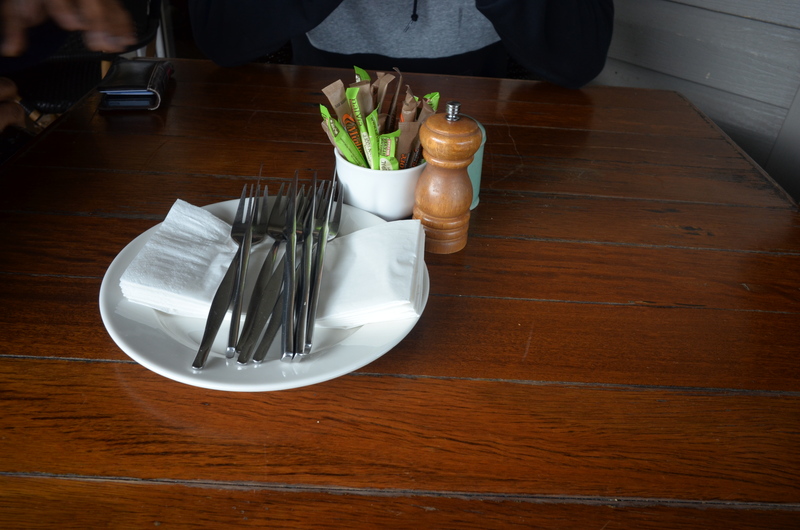 There wasn’t much talk so much as a mumbled ‘this is delicious’ while he forked his way through a generous stack. My brother was a big fan of the chilli jam, this being a new addition to his palette. He also said it went very well with the avocado. The bacon strips looked lovely, without too much fat on them but still glistening from being fried. The whole stack was artful, like how an Eton Mess is also far removed from your regular messes… The rustic Italian bread on the bottom adding the foundation, and I loved how the ricotta was just chunked all over! 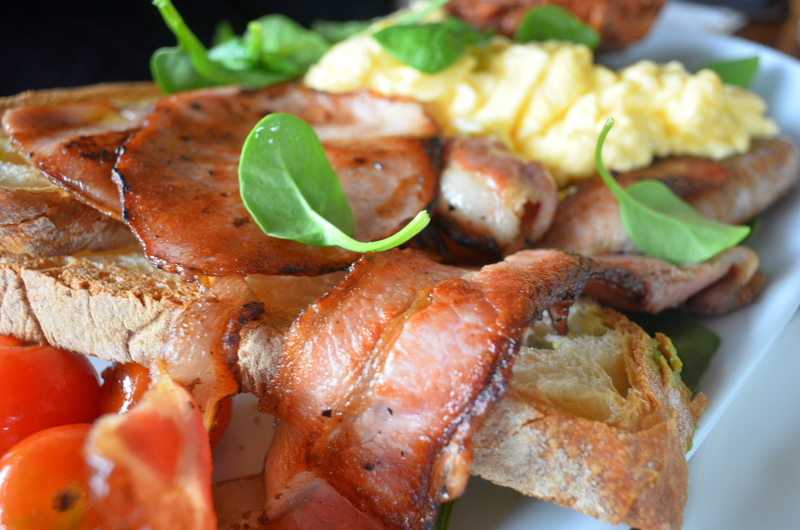 An extra bacon close up just for you guys! Moving onto my daddy. He decided to throw caution, as he should because it was quite the special day, and order the Wildpear’s Big Breakfast w/ eggs (scrambled), chopolates, bacon, mushrooms, roast cherry tomatoes & hash brown ($21.90). Something so large, it is expected that you won’t be eating till dinner time, if even that! As far as I could tell, the eggs looked very creamy and buttery, and the hash brown (which I actually did try a little of), was a mix between the US style shredded potatoes and the more patty style common in Australia. I wasn’t the biggest fan, maybe because I am so habituated to the taste of McDonalds hash browns, but their flavouring was excellent. My dad really enjoyed the sausages, I feel like for him, they are even more of a guilty pleasure than the bacon! 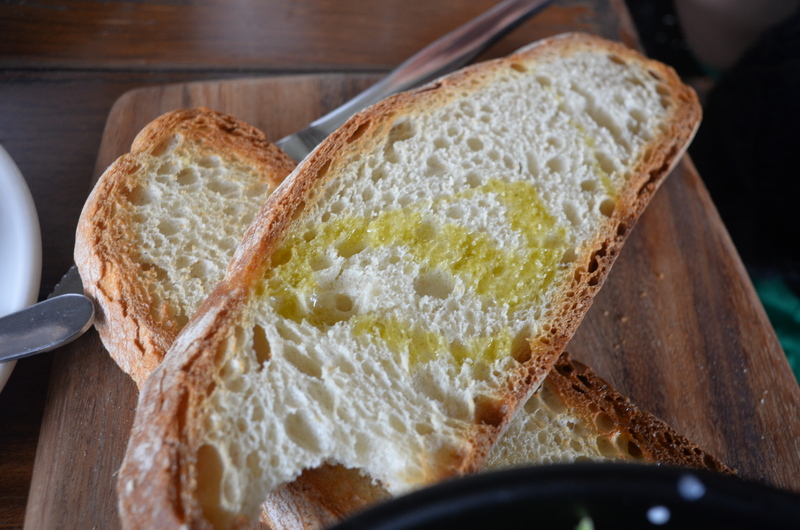 Again, sitting on top of that crusty piece of Italian bread, the rough, strewn design of the dish really added to its rustic appeal. Just like any grandma would serve food – generously and in a wholesome manner. If I could say anything, I thought perhaps there was a little lack of the spinach, but I suppose since it wasn’t ‘typically’ part of the meal, it was more for garnishing purposes. It did add a lovely element to the aesthetic appeal of this dish. My dad said the sausages exploded in his mouth, the flavour was definitely there which was good 🙂 He also really enjoyed the bread, though I think I may have hooked him on to it after his experience with Brasserie Bread’s Italian Ciabatta! Now, my mum also ordered a savoury dish, so shall we mix it up a bit and go for the dessert-breakfast that I typically opted for? 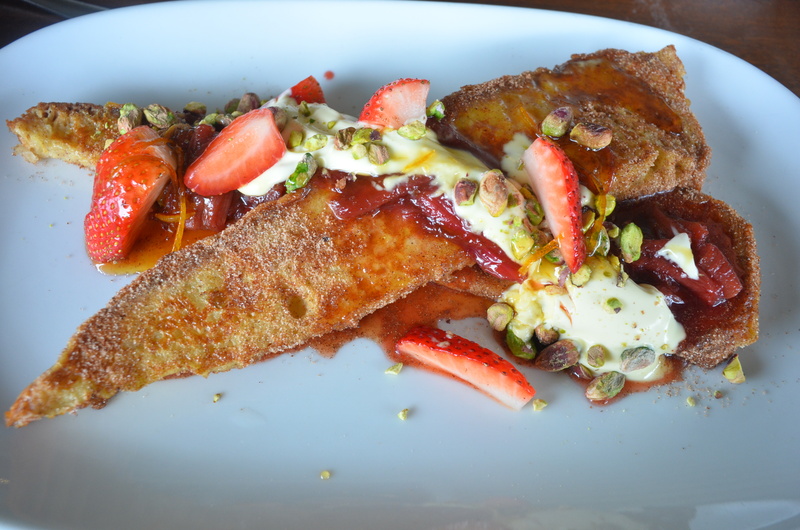 Tossing up with the parfait, on a gut decision, I decided to just go with the Sugar ‘n’ Spice French Toast w/ rhubarb, fresh strawberries, orange blossoms, pistachios & cream ($19.90). I got my power puff girl stomach ready (because sugar, spice and everything nice :P) and after my first bite, was lost in the dish. The rhubarb was slick on top, I think poached, because it was soft and succulent. The orange blossoms left a perfume-smelling taste in the mouth and that cream. I cannot even begin to describe how deliciously pure and smooth the cream was. The french toast was grilled to sugary perfection, and was golden and soft, though a little on the chewy side when it came to the crust. The crunch from the pistachios contrasted nicely against it. Moving on to my mum’s dish, she was conflicted because she can’t eat excessive sweets for breakfast, but she didn’t have the usual dishes such as toasts or banana bread there. 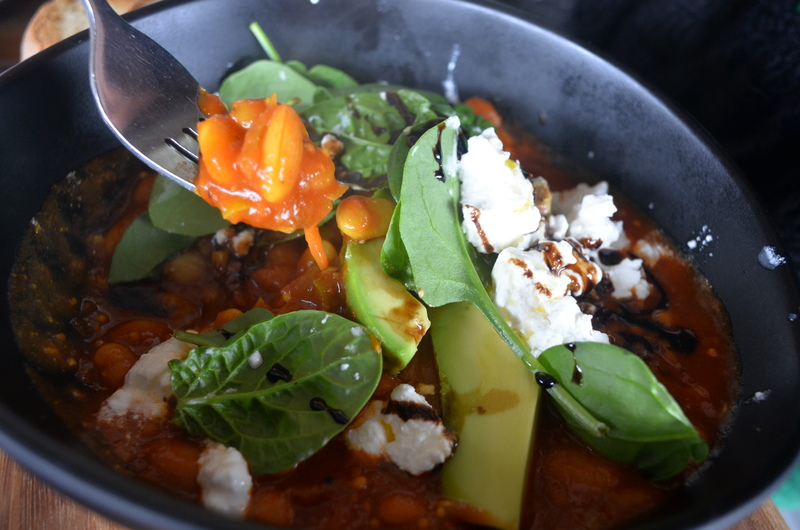 So she opted to get the House Made Baked Beans w/ avocado, Danish feta & drizzled with extra virgin olive oil ($17.90). My mum enjoyed this dish, saying the gravy was creamy and the beans soft and delicious. I don’t usually like baked beans at all, especially not from the can, but tried some of the gravy, a touch of feta and a few beans on one of the pieces of Italian bread. Oh my gosh. I could live on that. 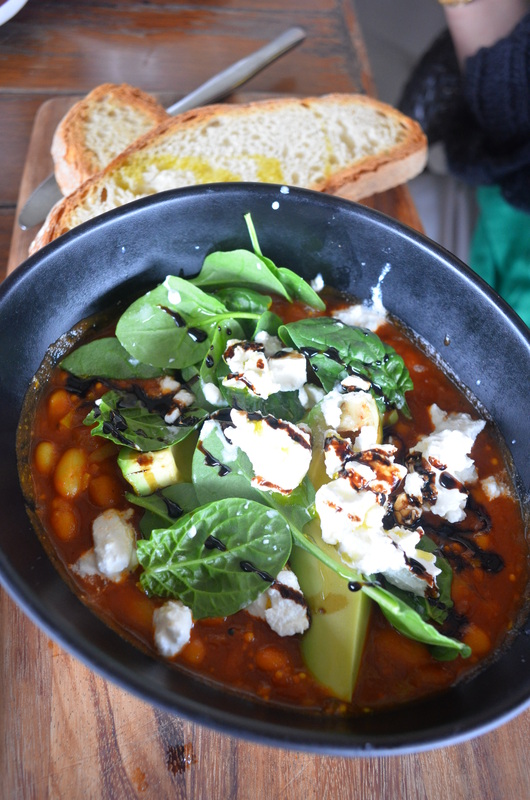 The gravy was thick and rich, while the soft, tasty beans made you feel more healthy 😛 And the saltiness from the Danish feta also added to the overall flavour! You would think by now, we would be beyond stuffed, and we were. But ma and daddy need dessert right? What is breakfast if it isn’t a meal more than one course? Especially on a day as special as Fathers Day, I assure you! My dad decided to whole hog and order himself (mind you, after having an orange juice following his coffee), an Affogato. I couldn’t find it on the menu, which was a little weird, but I would hazard it to be around $5? 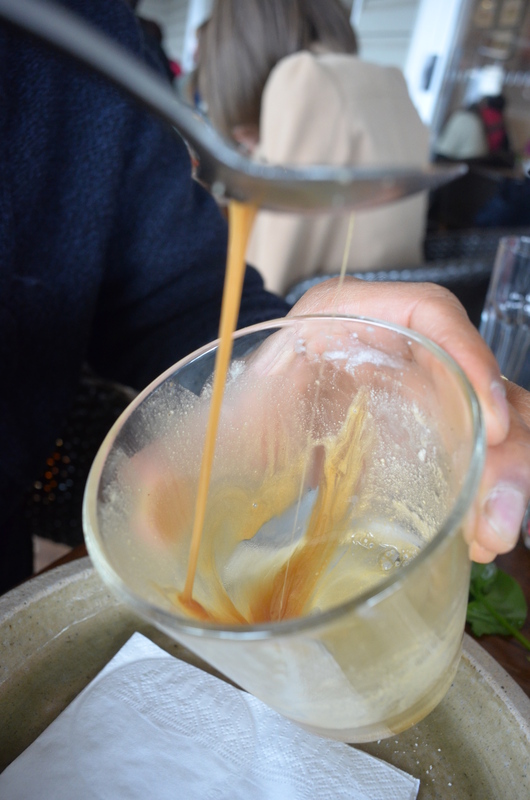 This affogato was one of the most elegant… ‘designs’ I have ever seen. 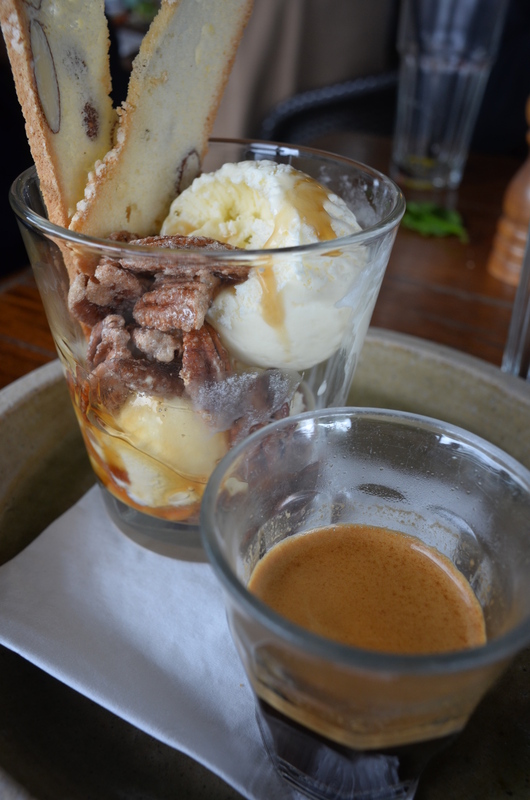 A giant version of a shot glass, with the espresso on the side (my dad didn’t have the Frangelico), a generous scoop of vanilla ice cream was sitting in a pool of caramel, adorned by two large pieces of biscotti on its side. 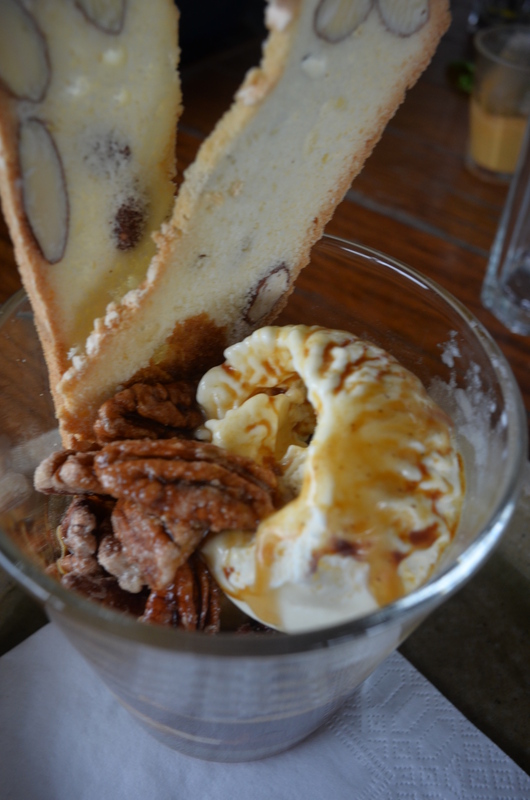 There was also a cluster of candied pecan nuts in the glass, adding to the classy effect. My dad’s eyes actually lit up when he ate this twist on the usual Affogato, I think the caramel gave it a really nice sweetness. And everyone knows coffee or mocha with a caramel shot sends it to a whole new level! And while we messed around and my brother lounged, unable to move, my mum also enjoyed her second cup of Cappuccino etc. etc. 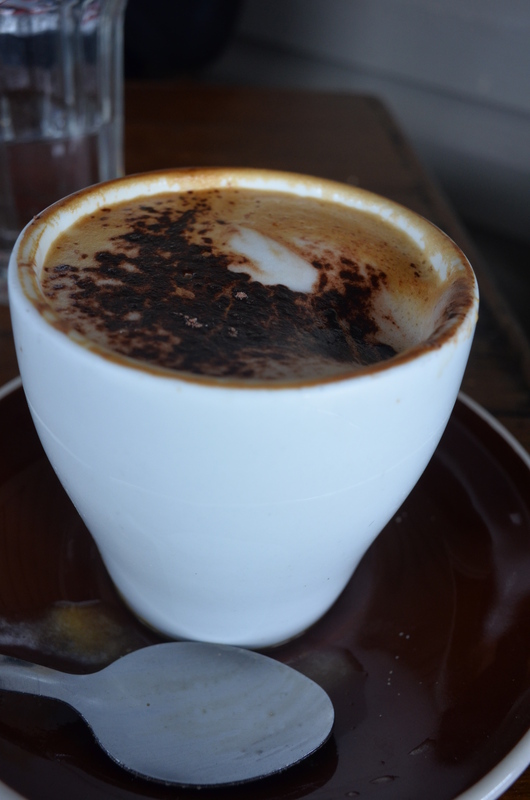 (though a small cup this time :P) – $3.90. A little on the expensive side, but good for a special day like Fathers Day! I suggest you all go eat some breakfast before you explode from need 😀 – Regardless of what time it is! that french toast sure looks good! 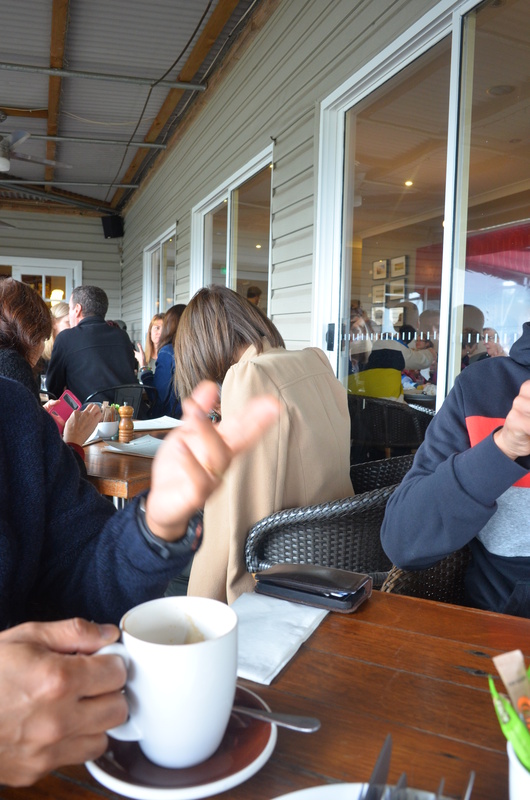 PS… what is your secret to getting such gorgeous photos at a restaurant. 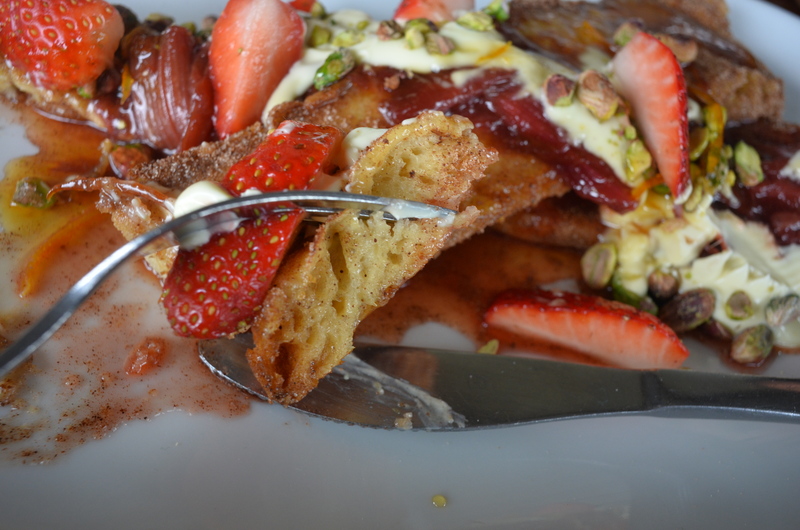 My photos of food at a restaurant never look this drool-worthy! 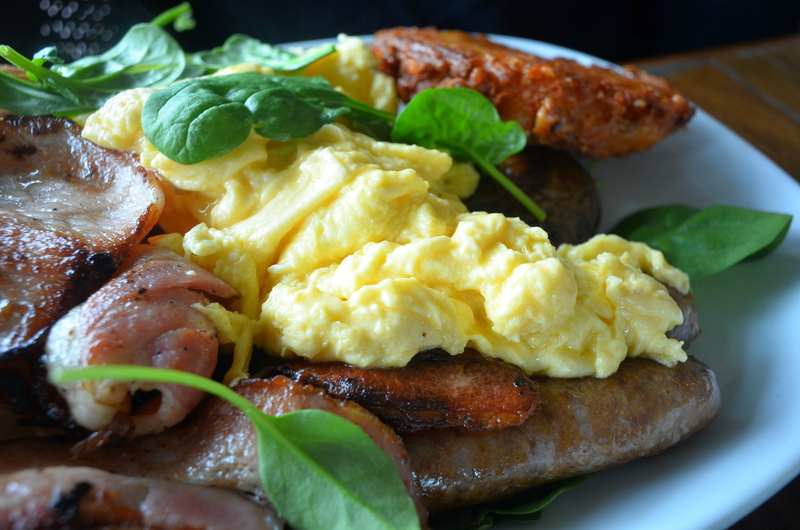 I miss going out to eat brunch… Ever since we started shooting videos on weekends, there are no more time for brunches! Your photos were awesome. They left me so hungry… that means you did a wonderful review. Hee hee. Thumbs up! WOW! What a wonderful meal, and what a terrific place to eat. I am half way around the world in Los Angeles, so I am I won’t get to this spot, but thanks for the review! Those are some exceptional breakfast plates. Delicious! Lots of amazing food at this little cafe! The biscotti definitely caught my attention with the espresso!! Sounds like a great place for breakfast! This sounds like a great cafe! Everything looks delicious. 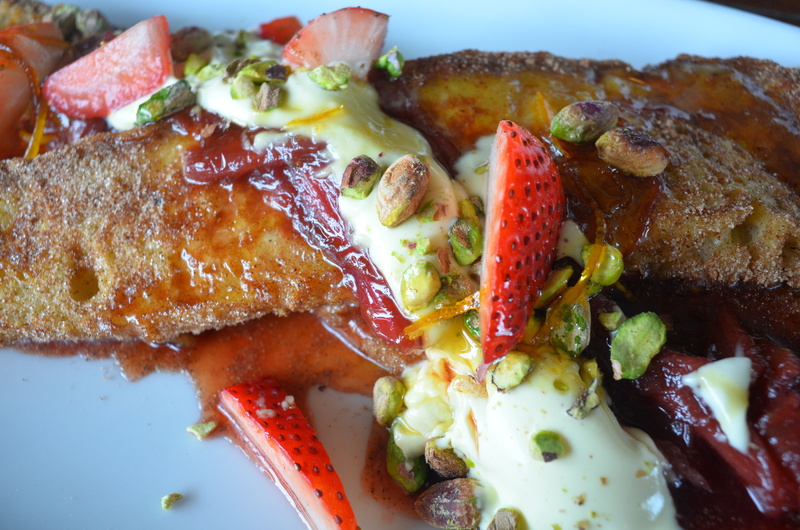 I don’t normally order sweets for breakfast, but I might make an exception for that French toast. 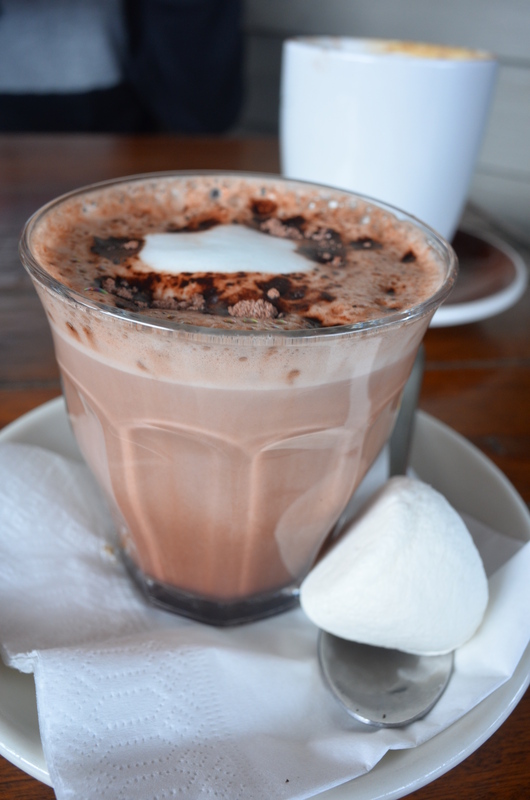 Love the look of thst hot chocolate! Actually, everything looks scrumptious! Wow this menu looks amazing. I’m stuffed just looking at these heavenly dishes. I may have to try and recreate some of these on my own – very inspiring. Thanks for sharing. Yums all these lovely pictures are making me hungry! Must have been an amazing meal with your family! That looks amazingly rich and delicious! soo much foood! =D My mouth is watering Uru. Looks like a cool place to hang out. 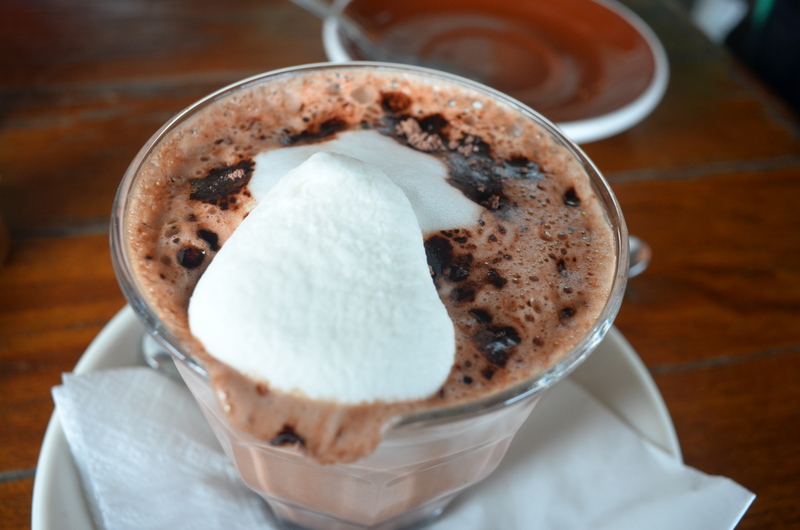 Love the hot chocolate AND the affogato! Great photos! Looks like a great breakfast cafe! I would love a cup of that cappuccino right now! Nice post! Oh my, what a treat! 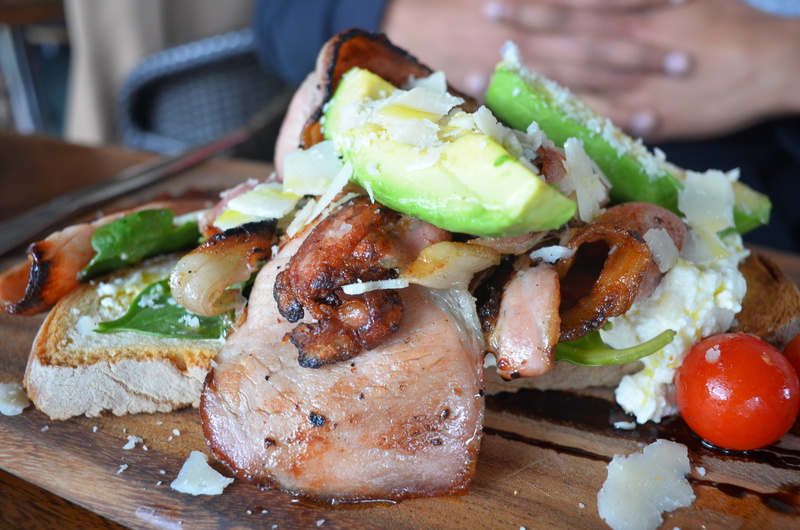 The bacon & avocado caught my attention! Amazing post! That Affogado – who knew??!! I can’t wait to try to duplicate it! Well, now it’s torture reading about these fabulous restaurants and dishes and not being able to try them! 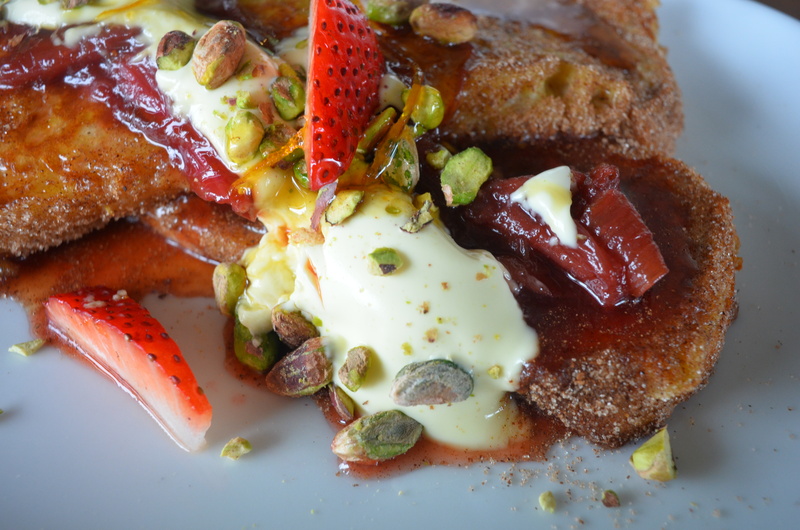 Love love that french toast, just to sit down and devour that dish.. would.be.amazing! Hope you come down and try ALL the restaurants! If only I were there. I would have devoured every last bit of that meal! OMG, everything looks so faabulous. I don’t see breakfasts like that here — such a variety, and all so scrumptious looking. Lucky you! I would give anything for a local cafe where I could hang out, meet friends, and enjoy seriously comforting dishes like these. You’ve found another gem, my friend! You have a knack for finding the best places to eat. Everything here looks amazing! Oh wow!! I love cafe hopping! Looks like there’s so many awesome ones in Sydney!! 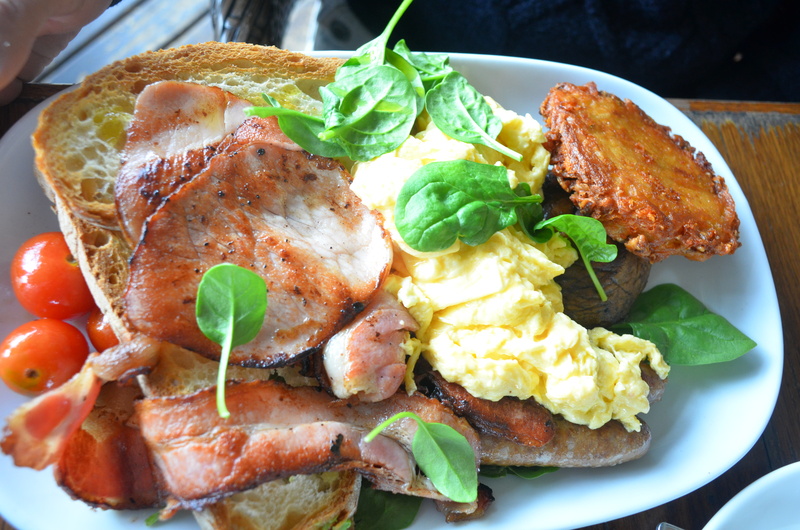 The food looks so wholesome especially the Big brekky. It can give many cites cafes a run for their money. I love finding a local gem or cafe in my immediate area! For me, a hot chocolate is all about the marshmallows too 😉 Thank goodness it’s Sunday, I’m headed to brunch & your post has me inspired & hungry now! 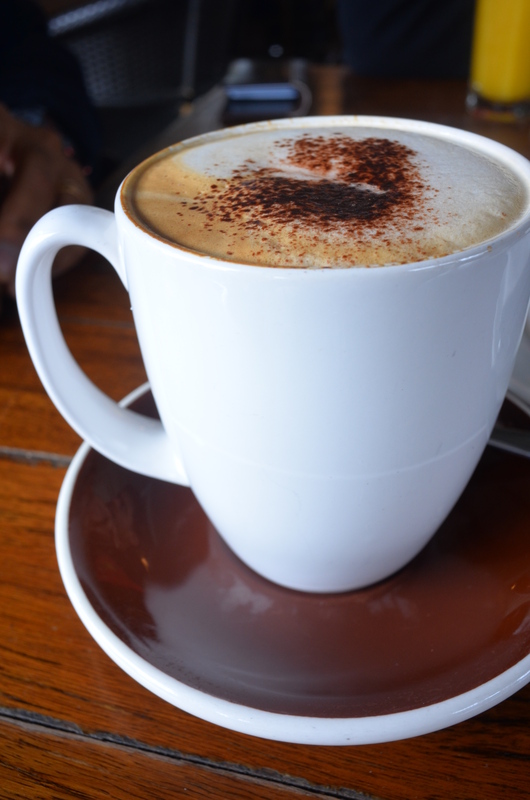 I almost sent you an email just now suggesting coffee catchups here (in 4 hours – gotta drive from the Berra). Ha! Gorgeous pics sweets. Whatever, if you are ever in Sydney, give me a buzz for sure! 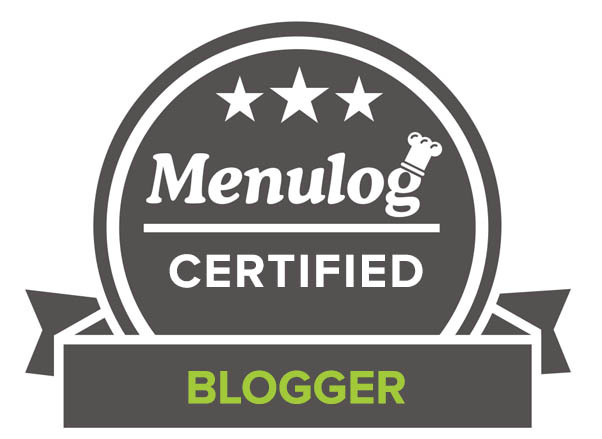 One thing for sure, definitey love their generous portion…..
Love your reviews Uru! They always make me hungry though, lol…What a wonderful way to celebrate Father’s Day mustaches and all:) It really does sound like a lovely place and it seems from all those gorgrous pictures, that everyone got what they wanted! That’s not alwys easy to do on a breakfast menu. I usually don’t care much about toast but the French toast I see is killing me. Love the way the plating so much its overly tempting. Nice Uru! 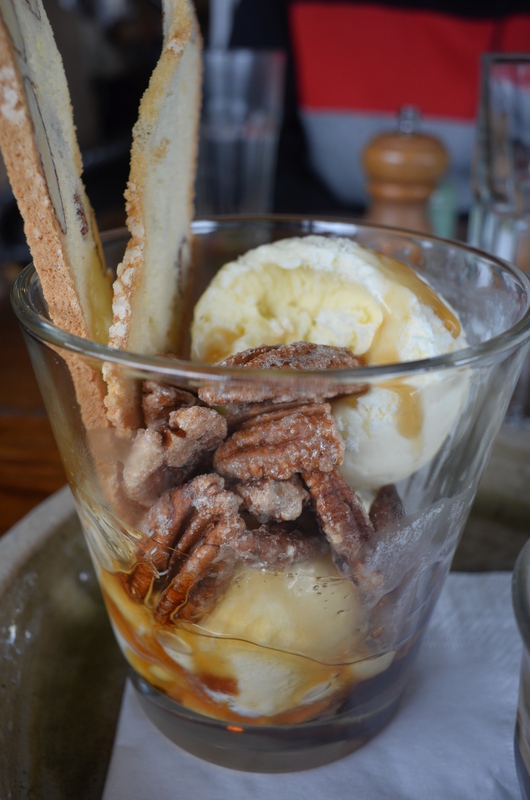 Lol on the moustache, it’s cute on everyone…Love the affogato with pecan nuts and biscotti! Awesome food shots, dear! I’m salivating! 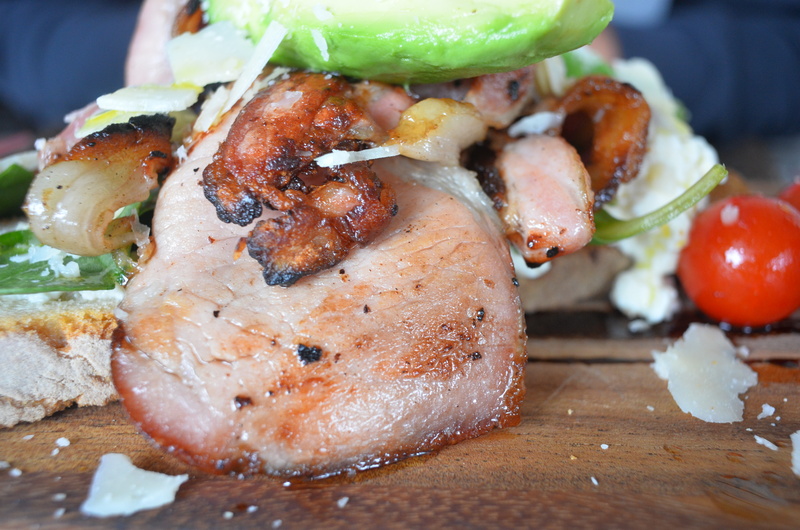 OMG… bacon and avocado, french toast heaven, affogato… and the marshmallows. I want to live there. It looks like a restaurant that I would love to visit too. Wow.. That’s breakfast for champions! What a feast! love the affogato. It looks decadent but it sound so lovely! Am sure your dad had a great Father’s day! What a fantastic way to celebrate Father’s Day. All the dishes look super delicious, great photos and review. Wow, the cappuccino is expensive! The food looks great though. Yum! Looks like a great restaurant and a really good review. 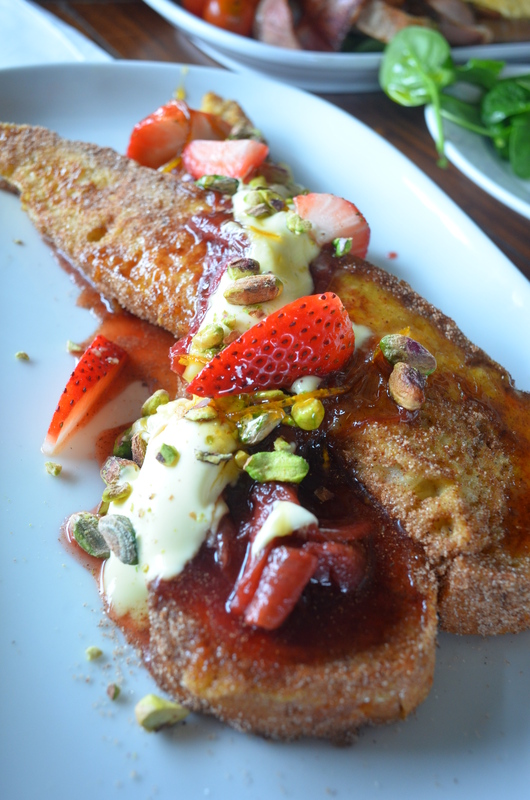 And yes, that french toast could tempt all savoury lovers for sure! Now that’s the way to say Happy Father’s Day! My dearest Uru! How are you sweetheart? I hope Uni is going well for you and not keeping you too busy. My daughter seems to be handling it ok. It is so lovely to hear from you my friend! I am absolutely fine, Uni is crazy busy but I am trying to get sleep in! How are you?? 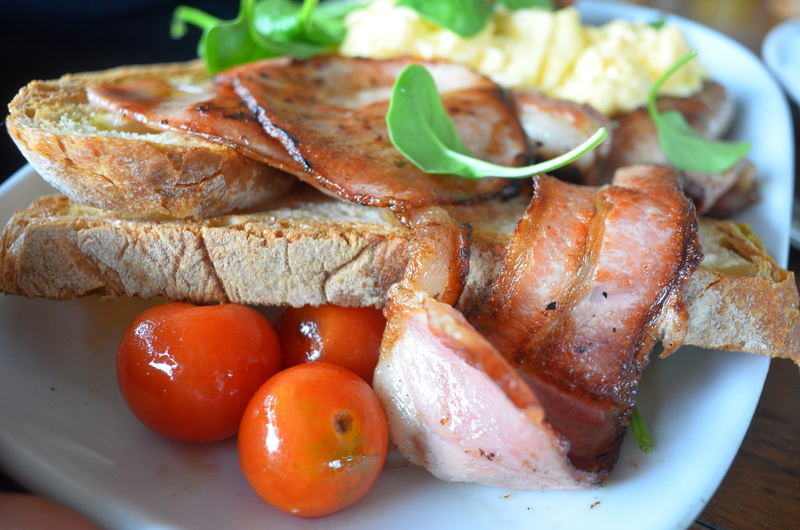 Mmmm,, breakfasts like that are well……. awesome! Love the coffee with a caramel shot, great pic.